As of Friday, women who served in the Women Airforce Service Pilots during World War II can now rest in peace at Arlington National Cemetery. The Washington Post reports (via Revelist) that President Obama just signed a bill that would allow their “inurnment,” or the interring of their cremated remains, at Arlington with full military honors. Women Airforce Service Pilots weren’t supposed to fly combat missions, but they did practically everything else—transport, testing, training, whatever needed doing. 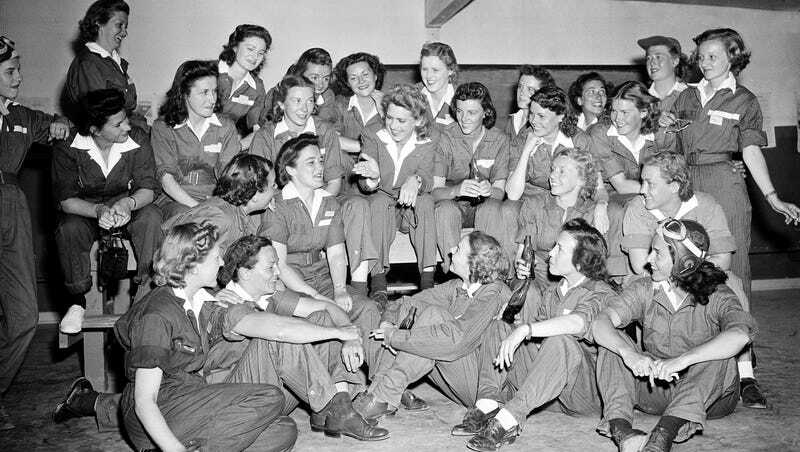 Though WASPs received strict military training, did drills and wore uniforms, they were considered a paramilitary, civilian organization at the time—in part due to a lobby of angry male pilots who felt they were being put out of their jobs by women. Despite plans to send women pilots to participate in the enormous air offensive against Nazi Germany as commissioned Army Second Lieutenants, the program received stiff opposition from the press and a public who felt that it was unnecessary and unnatural to let women fly for their country. No matter that 38 of those women died for their country—WASPs had to pay for their own uniforms and lodging, and the families of the deceased even had to pay to bring the bodies of their loved ones home.